It’s hard to put a price on the safety of you and your family. With that said, times are tough today and not everyone has the money to invest into an expensive home security system. That is where research becomes crucial to really narrow in on how much home security systems cost per month. There really is no exact answer to the question of how much do a home security systems cost per month. Each company has their own price range based on the systems they sell, the quality of the systems and what kind of system you are looking at. It may vary from state to state or even city to city as well. If you’re lucky, you may run into a company that is having a terrific sale at some point as well. This can throw in additional sensors or security features. 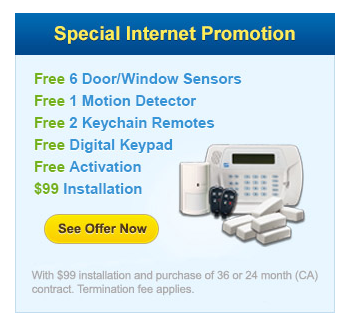 And in the case of ADT monitored security, you can even get an entire security system 100% free after paying for the $99 installation fee and purchase of alarm monitoring service at $36.99 per month. Installation is something that certainly needs to be taken into consideration as it can be quite pricey for some companies. Of course, this is a one-time fee that you will not have to worry about paying for after the initial fee. A lot of companies offer various services that you will want to think about adding to your home security system. 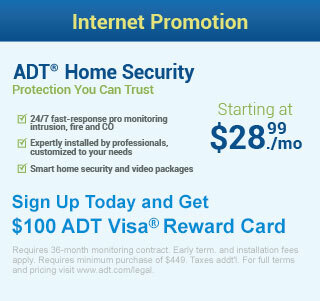 For instance, ADT offers an advanced monitoring service that is worth every penny. What the service entails is highly trained professionals watching over your home 24/7 from a service center so they can react quickly to any type of emergency that may arise. There are security providers out there that charge $59.95 for first and last month’s payments. The system may consist of something like a few perimeter sensors, a motion sensor, control panel and some kind of wireless control panel as well. The general rule of thumb is that the more there is to your system the more you can expect to pay. It’s quite similar to paying for your cell phone or cable bill. The person that has basic cable is going to pay far less per month compared to the person who has every channel possible. The person with unlimited text messages is going to pay more than the one who has a limit. 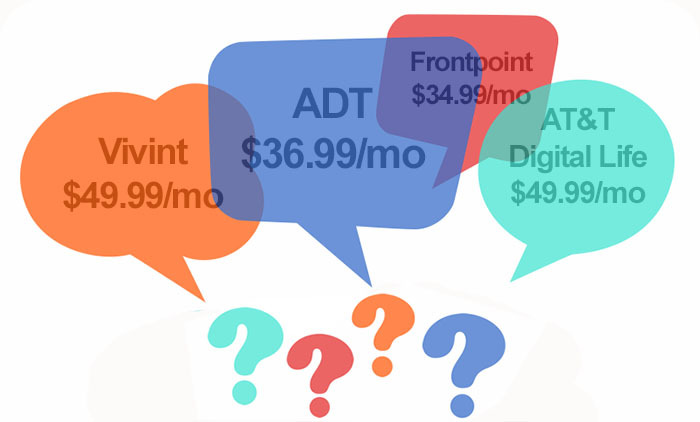 There is no general answer to the question of how much do a home security systems cost per month. With each company offering a little something different and each system differing from one another, your best bet is to price compare and find the one that suits your budget best.